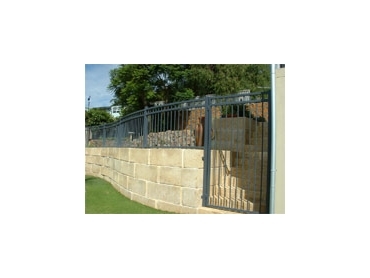 DuraFenz designs and distributes made to measure decorative fencing in a wide range of designs and colours. The fences can be manufactured according to individual requirements with the option of a punched rail or faces weld the uprights, as well as the choice of steel or aluminium. The majority of Dura-Fenz decorative fencing is produced utilising the 19mm diameter upright. This gives the tubular fencing the added advantage of extra strength, as well as aesthetically appearing more substantial in comparison to other fences that generally only use a 16mm diameter upright. Decorative fencing from Durafenz is available in a variety of standard designs, but can also be self-customised if they do not suit.